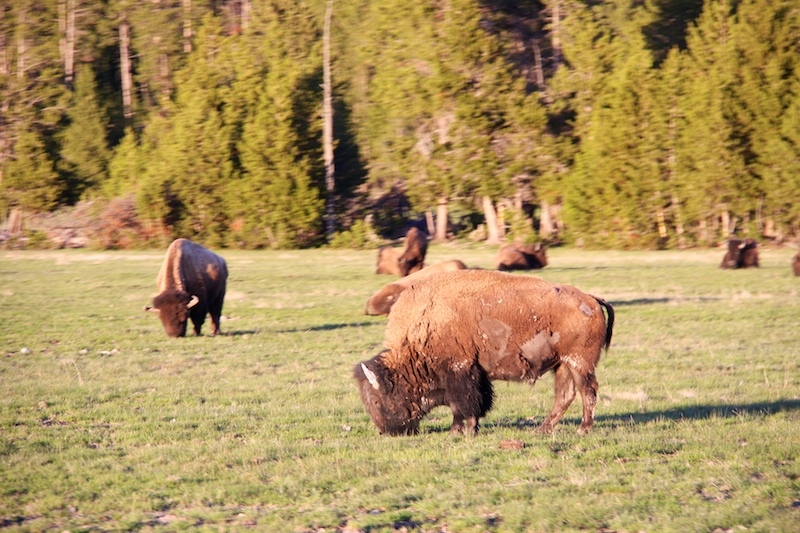 We arrived in Yellowstone today. We'll be here for 3 days, there is so much to see! There's still a lot of snow here. Not just in the mountain tops, but along the road. 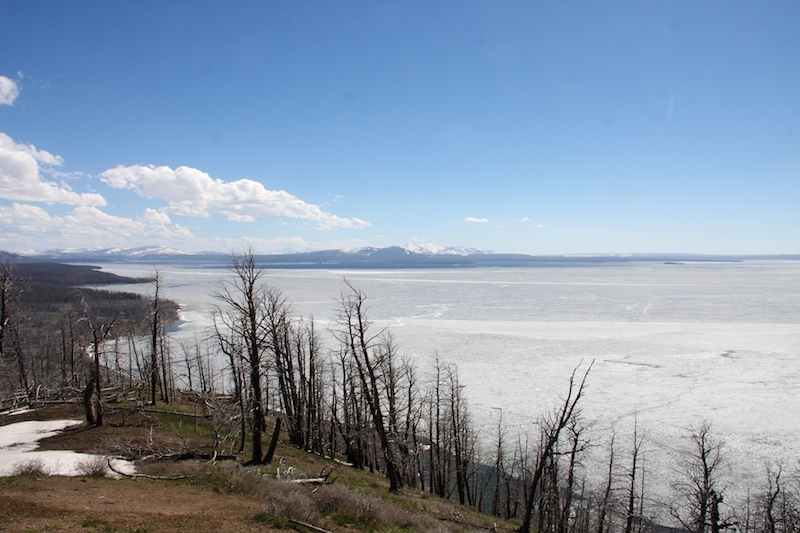 Most of the lakes are still covered with ice. 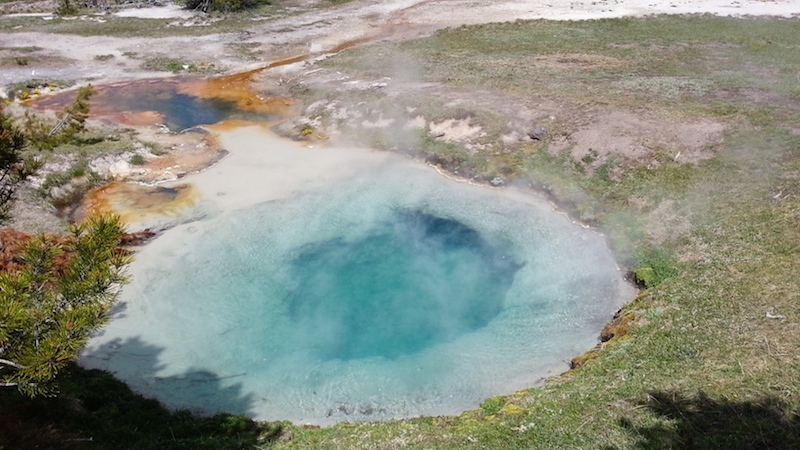 But then there are the hot springs, mud pots and geysers. These were in the West Thumb Geyser Basin. We walked about a mile along a boardwalk that had several bubbling geysers, springs and mud pots. It was very warm and steamy walking by them. It was like being in a sauna. Except it was also very stinky, like sulfur. Most of them weren't this intense azure blue or this clear. 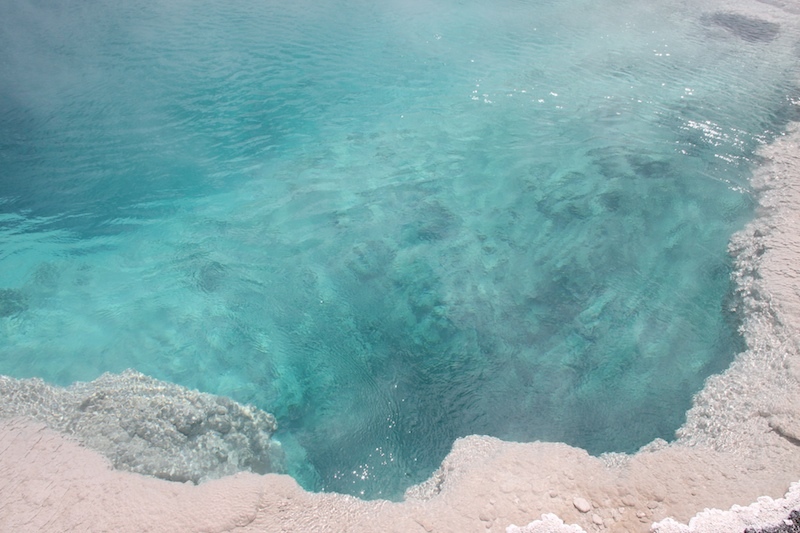 These almost make you want to jump in, except the beautiful colors are caused by different bacteria and the water is close to 200 degrees. Oh yeah, you'll also smell like rotten eggs. 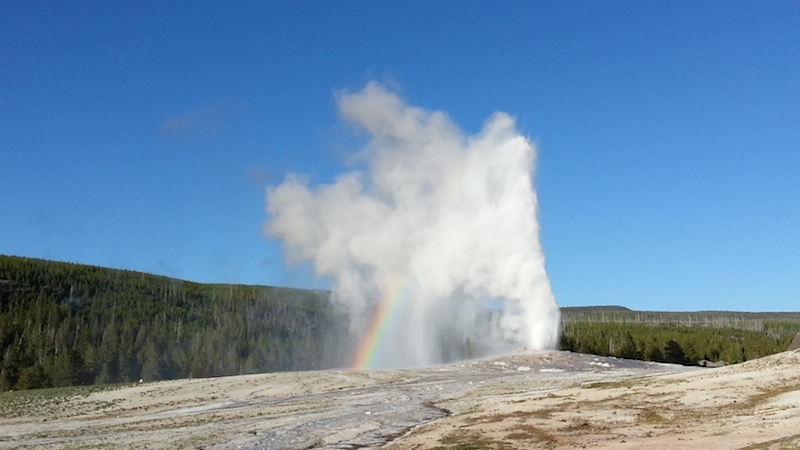 Of course, we had to see Yellowstone's most famous geyser, Old Faithful. Although it wasn't very faithful on it's time. It was suppose to erupt at 7:13, give or take 10 minutes, but it was about half an hour late. But it was worth the wait. 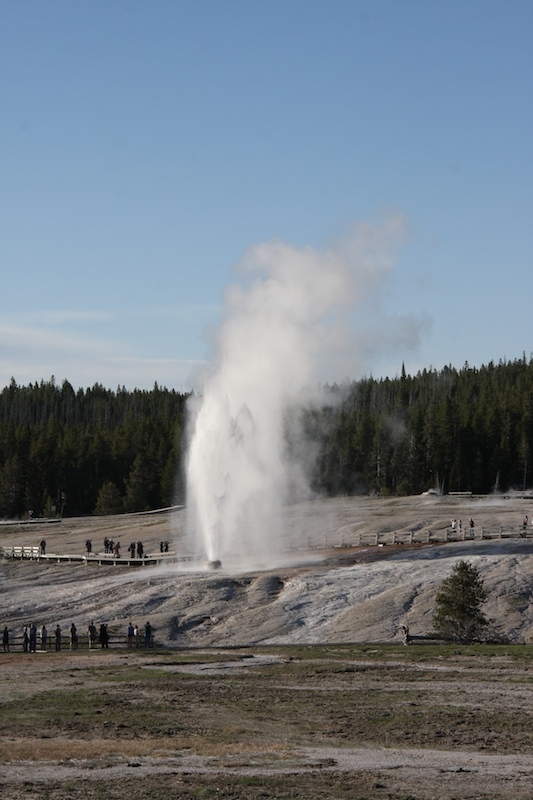 And the Beehive Geyser gave us a very nice opening act, erupting about 15 minutes before Old Faithful did. 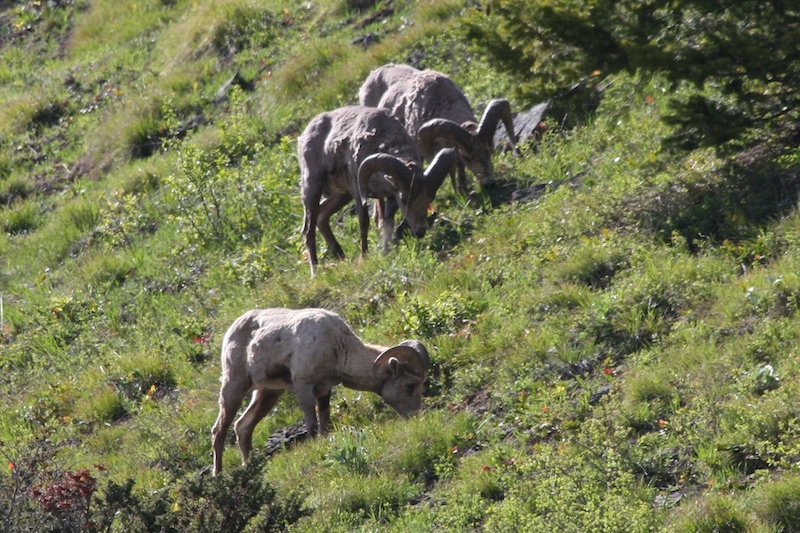 And we were always on the lookout for wildlife. And buffalo everywhere. It's pretty spectacular. 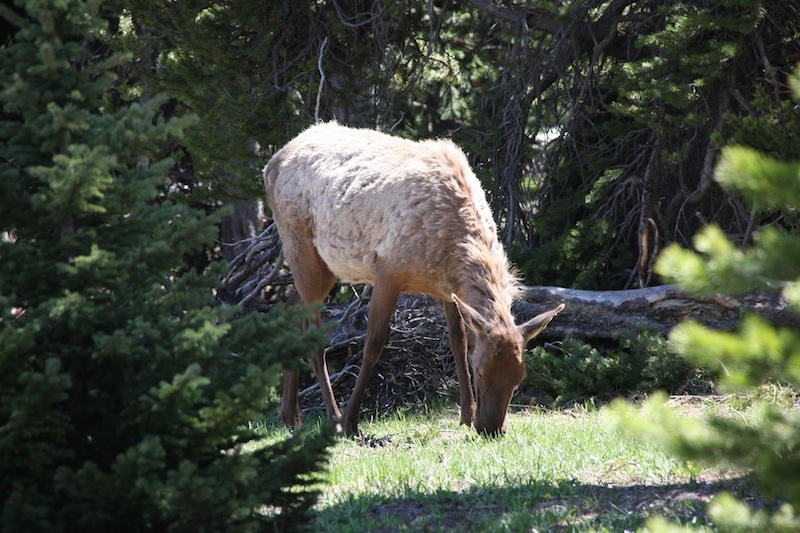 They are huge beasts and just kinda lumber along, not paying much attention to us humans. Here's a quick video of some just sauntering by us on the road. Not a great video, but it was so cool watching them just walk on by so casually. I remember that sulphury rotten eggs smell from my time at Rotorua in NZ! 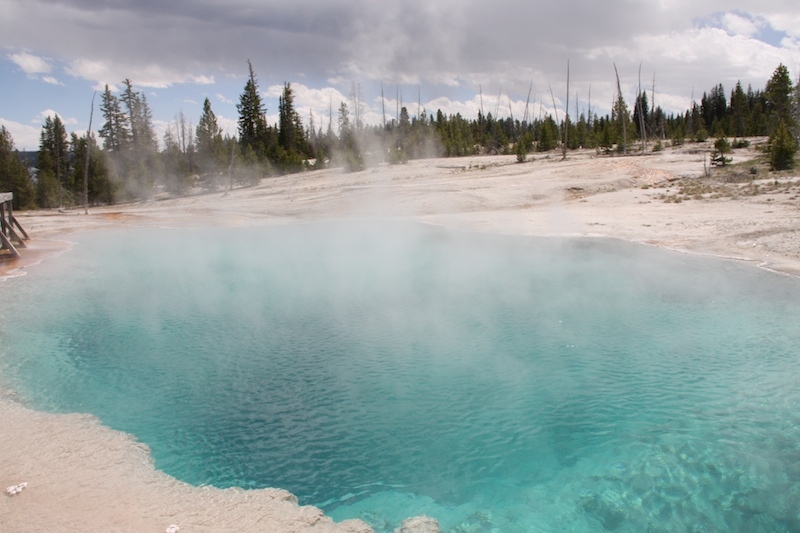 Those geysers are so neat, it's incredible to think that they spout such hot water into the air so regularly! Luck you, being at Yellowstone, I've always wanted to go there. 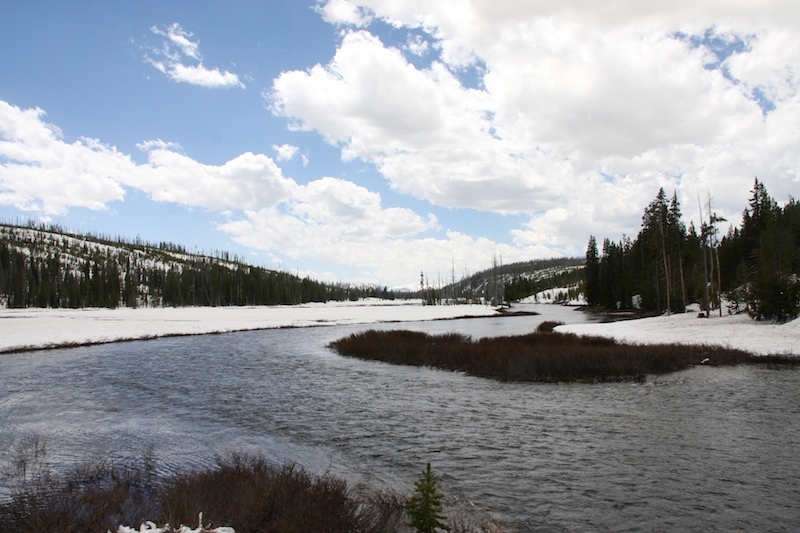 Watch out for Yogi Bear and BooBoo.... oh yes, that was Jellystone, not Yellowstone.